Does your smile need a little freshening up? Is your smile dull and uninteresting? 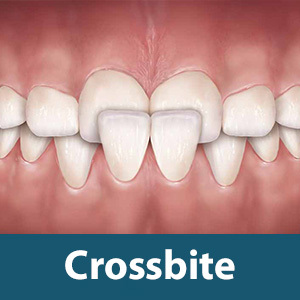 Is your smile compromised by chipped, cracked, or damaged teeth? If you answered yes to any of these questions, it’s time for you to discover the magic of porcelain veneers. They are the go-to treatment to give you a beautiful, flawless smile. Dr. Joel E. Johnson in Columbia, SC, offers porcelain veneer treatment to give you a new smile. Porcelain veneers are thin, beautiful laminates of sparkling porcelain. These laminates are permanently cemented on to the front surfaces of your teeth. Veneer treatment is conservative, because Dr. Johnson only removes enough tooth surface to compensate for thickness of the veneers. Veneer treatment may also be able to hide alignment issues including gaps between your teeth, or tooth overlap and tooth rotation. 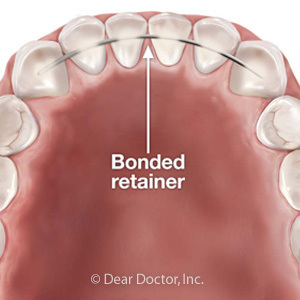 Dr. Johnson will discuss whether veneers are the right choice, or if conventional orthodontics are the best treatment for alignment issues. Porcelain veneer treatment is a popular choice to refresh smiles because porcelain looks just like natural tooth enamel. It reflects light, so your new porcelain veneers will sparkle just like natural tooth enamel. Unlike natural tooth enamel, porcelain resists stains, so your smile will stay bright for years, even if you drink coffee or smoke. If you need to refresh your smile, porcelain veneers can help. They can hide both minor and major problems with your teeth, giving you a smile that makes a statement. To find out more about porcelain veneers and other cosmetic, restorative, and preventive dental services, call Dr. Joel E. Johnson in Columbia, SC, today! Dental crowns are a porcelain dental restoration often used after a root canal but can perform various dental tasks. If your dentist suggests a crown, you probably have a damaged or decayed tooth. Understanding this treatment and how it works can help you determine if it is right for you. Find out more about dental crowns with Dr. Joel Johnson and his practice in Columbia, SC. How does the Process for a Dental Crown Work? Caring for your dental crown is as easy as caring for your natural teeth. The crown looks and functions just like a natural tooth and requires only that you follow the American Dental Association’s recommendation for a strong oral care routine. Brush twice daily with fluoride toothpaste and a soft brush and floss at least once a day between every tooth. See Dr. Johnson for routine examinations and cleanings twice a year. For more information on dental crowns, please contact Dr. Joel Johnson in Columbia, SC at (803) 788-2555 to schedule your appointment! Do you need dental crowns? One of the most revolutionary developments in modern dentistry is the development of dental crowns. There are many advantages to dental crowns, which makes choosing a dentist who offers them a fabulous idea. Dr. Joel Johnson is one of the finest dentists in Columbia, SC. Here are five benefits of dental crowns! 1. Improve Your Smile- Dental crowns can improve the appearance of your smile. Dental crowns can improve the look of broken, misshapen or discolored teeth. Dental crowns strengthen the teeth and can be used to improve their appearance, alignment or shape. 2. The Luster of Real Teeth- If you want a natural-looking smile, then porcelain is the way to go. All-porcelain crowns are created from a block of ceramic, which is natural-looking and beautiful. The single block of porcelain resembles a person's tooth structure. Nothing gives the same translucency, luster, and depth like all-porcelain dental crowns. 3. A Better Color Match- It's important that you have a crown that matches your natural teeth. With dental crowns, your dentist can choose from over 10 shades to allow him or her to give you a dental restoration that is better matched to the natural color of your teeth. 4. Durability and Strength- Dental crowns are known for their great strength and durability. Dental crowns are tough like natural tooth structure. Your dental crown will be created from a thick block of porcelain that is able to withstand wear and tear. Dental crowns will restore full function of your weak or damaged teeth. 5. A Healthy Smile for Life- A dental crown can last a lifetime. To achieve this goal, you will need to maintain a high level of oral hygiene. Keep your teeth and gums healthy by flossing and brushing regularly – especially around the dental crown. Using a mouth rinse can also help. Remember to visit your dentist regularly for checkups and dental cleanings. If you need a dental crown, why wait? We can help you today. Call Dr. Joel Johnson at (803) 788-2555 today to schedule a consultation in Columbia, SC. With dental crowns, you can have a smile that's both strong and beautiful!